Learn how to install libdvdcss on Windows (10) or Mac (macOS Mojave). Also provide solutions to rip/play any copy-protected DVD on Windows (10) and Mac if you can't install libdvdcss successfully. Most of you install libdvdcss with the aim of ripping protected DVD to digital file (e.g. rip DVD to MP4) for later easier playback. Wonder where and how to download and install libdvdcss on Windows (10) or Mac (macOS Mojave) for ripping copy-protected DVD? What can you do if you encounter libdvdcss Windows/Mac installation failure? This post provides detailed answers. 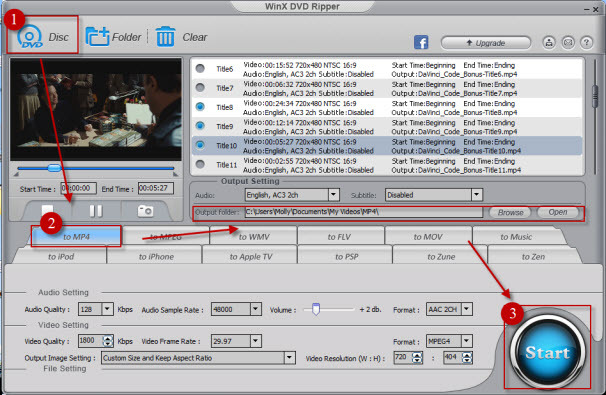 WinX DVD Ripper [100% clean freeware] – Most popular and easy-to-use free DVD ripper in market today is especially designed for ripping copy-protected DVD alone, without a third-party DVD decrypter. It intelligently supports bypassing DVD protections like CSS encryption, region code, Sony ARccOS, UOPs, APS, RCE, etc. 1. What platforms can install libdvdcss? Libdvdcss currently can be installed on Windows NT 4.0 SP4 (with IE 5.0) or later, Mac OS X, GNU/Linux, FreeBSD, NetBSD, OpenBSD, Haiku, Solaris, QNX, OS/2. Some platforms come with pre-installed libdvdcss include BackTrack, CrunchBang Linux, LinuxMCE, Linux Mint, PCLinuxOS, Puppy Linux 4.2.1, Slax, Super OS, Pardus, and XBMC Live. 2. Where to download and install libdvdcss? Part 2: How to Install Libdvdcss on Windows (10) or Mac (macOS Mojave)? Step 1: Open the website http://download.videolan.org. Step 2: Click "libdvdcss" and click the latest version of libdvdcss 1.4.2 or choose other versions according to your needs. Step 3: Then double-click on the downloaded libdvdcss file and start installing libdvdcss on your computer. To download and install libdvdcss for Handbrake ripping CSS-protected DVD on Windows (10) or Mac, it only needs 2 simple steps: Download corresponding version of libdvdcss on Win or Mac --> Cut and paste libdvdcss file into HandBrake program folder. Then you can follow Handbrake tutorial to rip DVD. Part 3: How to Rip or Play Protected DVD for Free Without Installing Libdvdcss? If you meet problems when installing libdvdcss on Windows (10) or Mac (macOS Mojave), or want to avoid the trouble of installing libdvdcss to rip CSS protected DVD, WinX DVD Ripper or 5KPlayer (both 100% free and clean) would be great helpers. 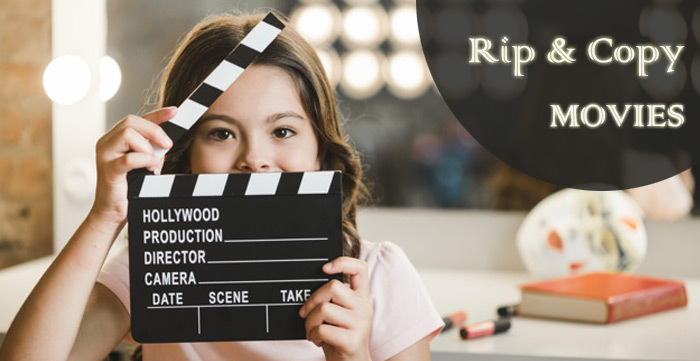 The first program can rip copy-protected DVD to MP4, WMV, MPEG, MOV, FLV, etc. by accessing DVD protections like CSS encryption, region code, Sony ARccOS, UOPs, APS, RCE (Disney X-project DRM is excluded), with original quality at fast speed, while the later can play any protected DVD (incl. new Disney protected DVD) for free smoothly. Even if you install libdvdcss successfully on Windows (10) or Mac (Mojave) and can rip CSS-protected DVD with the free and open source Handbrake, but you know the limit. Handbrake libdvdcss can only rip CSS-protected DVD and its output is limited to MP4/MKV. What if the DVD is encrypted with other DVD protections like Sony ARccOS or Disney X-project DRM? Then Handbrake cannot deal with this kind of DVD ripping at all. Luckily, the free WinX DVD Ripper can rip various kinds of protected DVDs with no hassle without a third-party DVD decrypter. It can remove DVD CSS, UOP, RCE, region code Sony ARccOS, etc., and rip DVD to various formats/devices. Free download and install WinX Free DVD Ripper on your Windows (10) computer, or free download its Mac version on macOS Mojave, etc., and follow the 3 simple steps below to rip protected DVD without installing libdvdcss. Step 1: Run the best free DVD ripper and click "DVD Disc" button to load the inserted DVD movie info. This smart DVD ripper freeware can auto detect and select the right main DVD movie title for you. Step 2: Select the output video format or device. 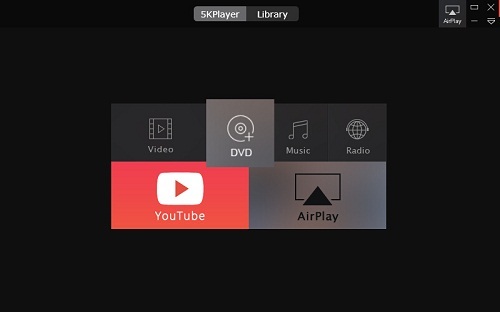 You can choose to rip DVD to MP4, WMV, MPEG, H.264, iPhone, Samsung, etc. Step 3: Hit "Start" button to begin ripping DVD with best free Handbrake alternative which doesn't need to install libdvdcss. Disclaimer: Digiarty Software does not advocate ripping copy-protected DVDs for commercial purpose and suggests referring to the DVD copyright laws in your countries before doing so. Most DVD players relies on installing libdvdcss to play copy-protected DVD, however, without installing libdvdcss, you can still successfully play any protected DVD with ease with the most popular free DVD player - 5KPlayer. This free tool can play any copy-protected DVD or regular DVD flawlessly; play all 8K/5K/4K/HD 1080p/720p/SD videos in MP4, AVI, WMV, MKV, etc. ; free download videos/movies/MP3 songs from YouTube and 300+ video sites; and allows you to stream videos/audios to iPhone, iPad, Apple TV, etc. for free. It is the best all-in-one free media player for Windows (10) and Mac. Step 1: Insert the DVD disc to DVD-ROM. 5KPlayer alone supports smoothly playing any protected DVD without installing libdvdcss. Step 2: Tap "DVD" button on the main interface and the DVD movie will start playing automatically. Whether you install libdvdcss to rip protected DVD or use some best free Handbrake alternatives to deal with the protected DVD ripping, here we give some common knowledge about libdvdcss to help you better know what is libdvdcss. libdvdcss (or libdvdcss2 in some repositories) is a free and open source software library for accessing and unscrambling DVDs encrypted with the Content Scramble System (CSS). libdvdcss is part of the VideoLAN project and is used by VLC media player and other DVD player software packages, such as Ogle and MPlayer. Many GNU/Linux distributions do not contain libdvdcss (for example, Ubuntu and SUSE Linux) due to fears of running afoul of DMCA-style laws, but they often provide the tools to let users install libdvdcss themselves. If you don't want to install libdvdcss and need a fast DVD ripper to rip copy-protected DVDs, especially strictly encrypted Disney DVDs, to MP4, AVI, WMV, MPEG, H.264, MOV, FLV, iPhone XS/XR/X/8/7/Plus, iPad Pro, Galaxy S9/S8/Note 8, etc., with original quality at fastest speed, try WinX DVD Ripper Platinum. What is libdvdcss? How to download libdvdcss.pkg Mac or install libdvdcss.dll Windows 10 for HandBrake to decrypt movie DVD? If you're experiencing HandBrake libdvdcss not working problem, here we will explain why you can't rip DVD with HandBrake libdvdcss and a quick fix will be given. Downloading installing libdvdcss on macOS Sierra or above only makes HB workable for ripping some copy protected DVDs, but not all. Find way to fix it here. Part 3How to Rip or Play Protected DVD for Free Without Libdvdcss?